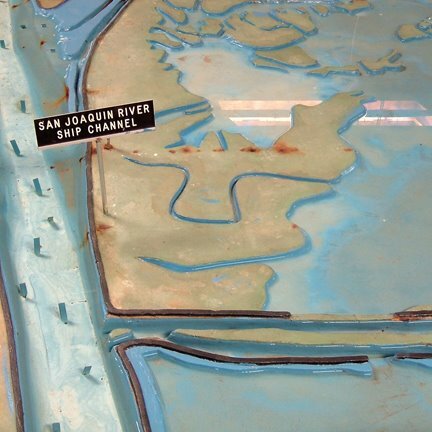 The Bay Model was built in 1957 by the Army Corps of Engineers; it is “over 1.5 acres in size and represents an area from the Pacific Ocean to Sacramento and Stockton, including: the San Francisco, San Pablo and Suisun Bays and a portion of the Sacramento-San Joaquin Delta.” Which means it’s larger than two American football fields. (I think). It’s not in the greatest condition, and the faded primary color scheme leaves something to be desired, but the model is no less fascinating for that; any chance you get to walk the shores of a microcosm is a good chance to do some thinking. – I’ll then point out that the Bay Model exists within its own timezone: in the world of the Model, one day passes every 14.9 minutes. 30 full days elapse every 7.2 hours. Complete tidal cycles run 3.8 minutes. You can practically feel yourself aging in the presence of this copyscape, its wetlands and alluvial braids of artificial rivers running through fields of pumps and power cords. Look closely and you’ll see a “Tide Hut” where little gods of the Model enact catastrophe and unleash floods upon the surrogate world spread out before them. 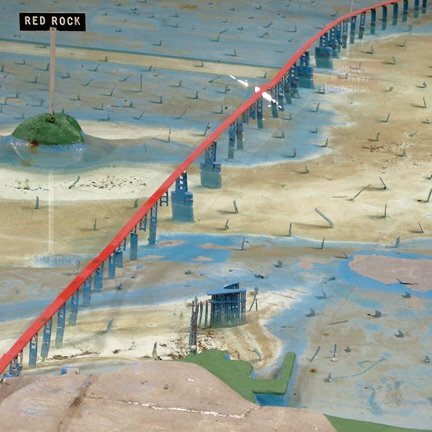 Look closer, and you’ll see damage from a “hundred years of waves, subsidence, and boat wakes” – which, in Model time, is almost exactly one human year. But I soon got to thinking about the politics of architectural models. 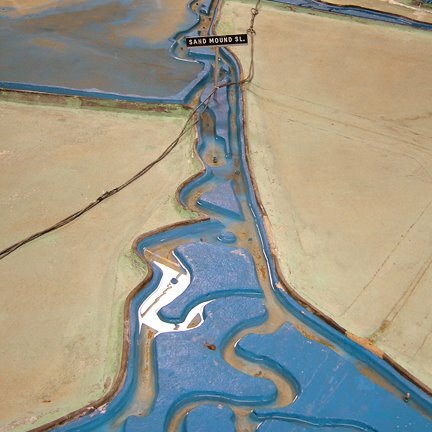 Imagine what would happen, for instance, if some Navy SEALS raided a cave in Afghanistan and found the Bay Model sitting there: what on earth does al-Qaeda want with San Francisco’s water supply? FOX News screams. 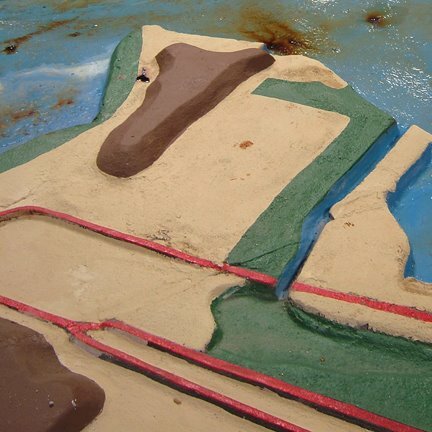 Or a model of Greater London’s Thames hydrology, complete with flood gates, Barriers and overflow sewers, which is one thing if it’s in the possession of Tony Blair, and quite another if found in the basement of, say, Abu Hamza or even Timothy McVeigh. It’s the politics of architectural models: an object of scientific curiosity in one person’s hands is an issue of national security in another’s. Because it’s all building up to one moment, see, the big moment when he decides to flood the Bay Model’s model of the Bay Model, opening up a rift in the universe and blasting him head-first through the macrocosm. I remember seeing this years ago featured in an “Escape from Alcatraz” documentary on public television.